Below are a few of the pastors who will share at this year's conference. Charles Leiter grew up in a nominally Christian home, but was a total stranger to the true gospel until he was nearly 16 years of age. It was then that he heard for the first time that one must be born again in order to enter the kingdom of heaven. That night, through the powerful convicting work of the Holy Spirit, he was given a glimpse of his lost condition and of the surpassing glories of Christ as the divine Savior of lost sinners. Charles lives in Kirksville, Missouri, with his wife, Mona and their five children. 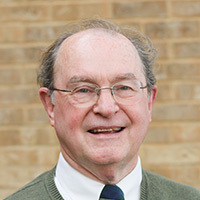 He has served as co-pastor of Lake Road Chapel since 1974, and has written two books “Justification and Regeneration” and “The Law of Christ”. He has been a conference speaker in the United States and overseas. Mack Tomlinson was ordained to the gospel ministry in 1977 in his home church of First Baptist Church of Clarendon, TX. He holds a BA degree in New Testament from Hardin-Simmons Univ. 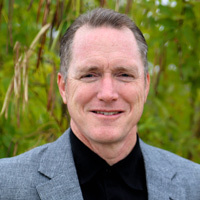 in Abilene, and has done graduate studies in Israel, and through Southwestern Baptist Seminary in Fort Worth and Tyndale Theological Seminary in Fort Worth. He has also served as an editor and book publisher. 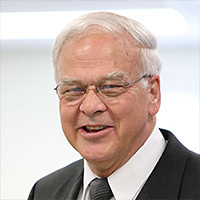 He also conducts an itinerant preaching ministry around the U. S., overseas in Eastern Europe, the South Pacific, and other areas of the world. Mack has been married to his wife, Linda, for 35 years, and they have 6 children. Mack pastors at Providence Chapel. Tim Conway is a pastor at Grace Community Church in San Antonio, Texas where he lives with his wife, Ruby, and four children. Tim is a passionate, gifted teacher of the word of God. You may find more about the church he pastors at Grace Community Church. What is the goal of this conference? Fellowship, preaching, and singing that center on the glory of God!